Good news!!! Good news for all blogger and site owners. Google Page Rank update is out for november 2011. I am really glad to inform that my 2 months 21 days domain got a PR1, almost 30 internal page got PR. And one of my internal page got PR2. WOW.. So, it’s time to go and check your Google page rank.You can check your sites page rank in the following tool. To check your page rank type your site url in the form and click the check button. If you get disappointed with the Pagerank, don’t worry this will updated in few months.You can read my SEO tips articles on this blog for better ranking. Please share us, how this November page rank update affects your blog, you can share your opinion to increase page rank update. 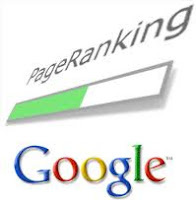 i am reading you google page rank information .it is very helpful for my blog .